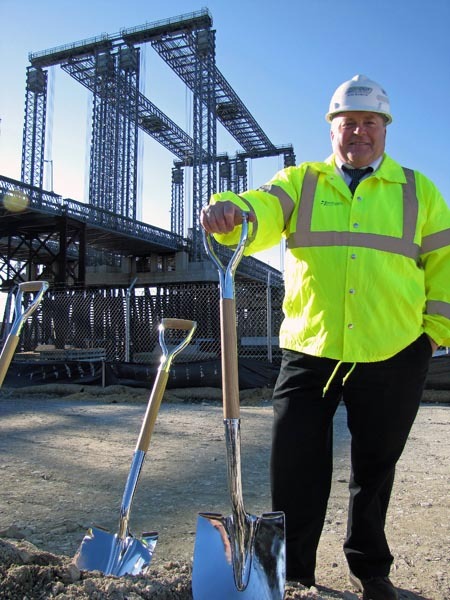 MassDOT Deputy Chief Engineer for Construction, Mike McGrath, in front of the temporary Fore River Bridge. This bridge, which crosses a major shipping channel just south of Boston, is being replaced in one of MassDOT’s Mega Projects. The new bridge will improve mobility for motor vehicles and ships.